I was playing around with some wire when I came up with this beautiful design. 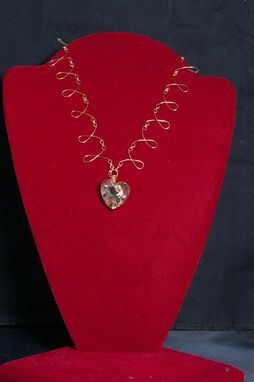 Since it was around Valentine's Day, I added a crystal heart with a wire swirl on the heart. I used gold plated wire since that is the wire I play with a lot. 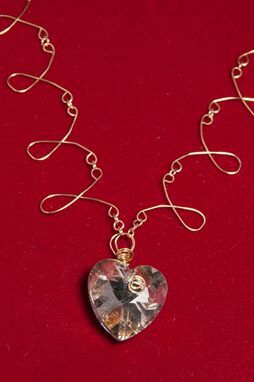 Cost would depend on type of wire used and crystal/focal used.